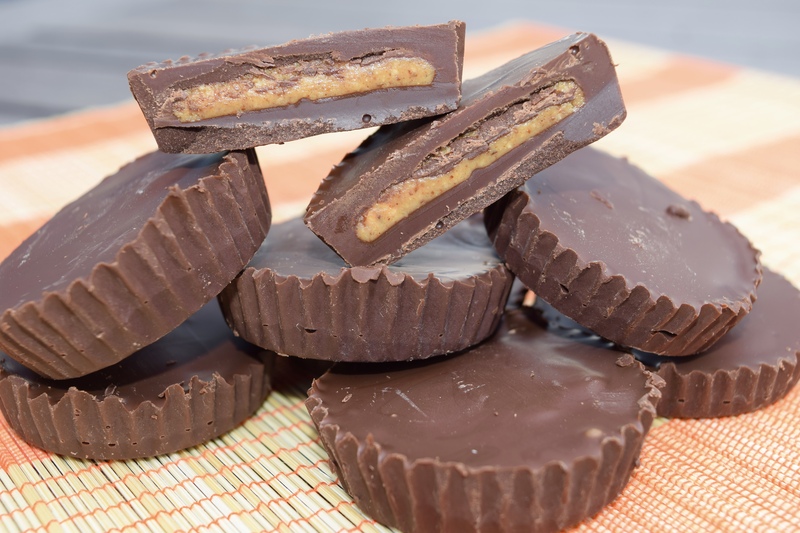 In my previous life, there was nothing more enjoyable than a sweet Reese’s Peanut Butter Cup, but the thought of a butane based preservative (TBHQ) going into my body amongst other harmful ingredients… no thanks! I have this conversation a lot with clients. It’s not that we have to deprive ourselves of the treats that we love. We just need to find healthier alternatives so that our body recognizes all the ingredients that we put in, and enjoy them in moderations. Sticking to whole foods is the best way to maintain health. This recipe is 5 ingredients and although it’s still a treat, it has some therapeutic properties in it! pour a small amount of chocolate at the base of 24 mini cupcake liners in a muffin tin. 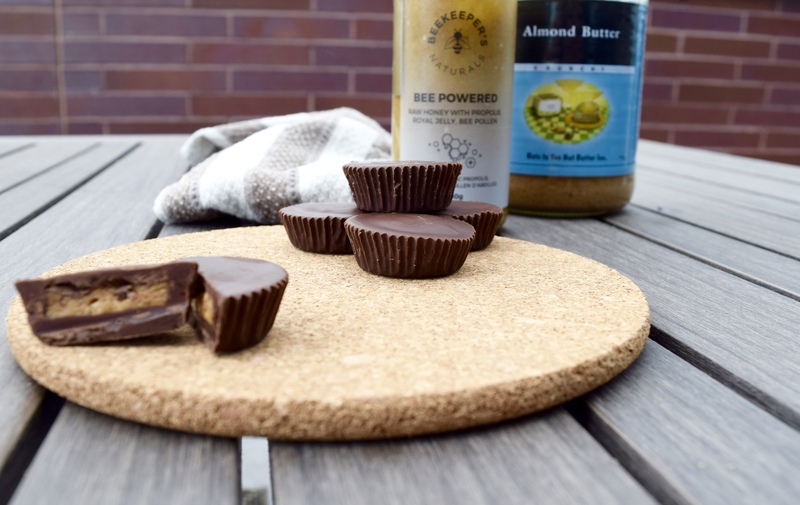 This recipe is anti-inflammatory (coconut), immune boosting (bee powered) and rich in healthy fats to help stabilize the blood sugar! 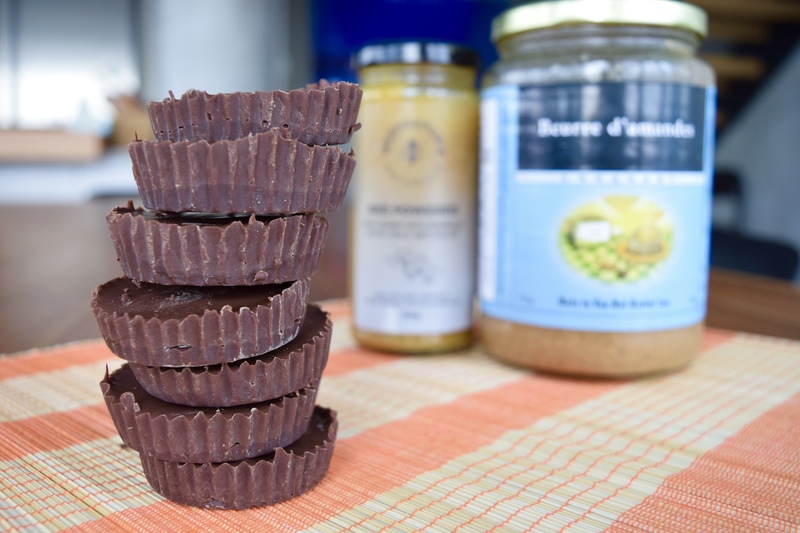 Note: Although these are healthier alternatives to regular peanut butter cups, they are still high in sugar and should be enjoyed in moderation!